Optimum performance and good health go hand-in-hand with our perception of fitness, correct? How about your customers’ plants? Are they as fit as they could be? Ornamental plants crave specific elements in their diets. All are important, but iron is especially so. Imagine what would happen if we removed iron from our diets: We’d feel a range of negative effects. Plants are no different. When we think of maximizing green in our industry, we usually think about fertilizer. The more, the better, right? It’s not that simple. 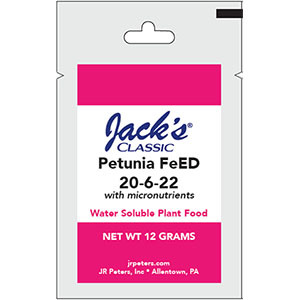 Too much fertilizer can be damaging through excessive salts or overwhelming nutrient uptake, the result of which can actually stop plant growth in its tracks. 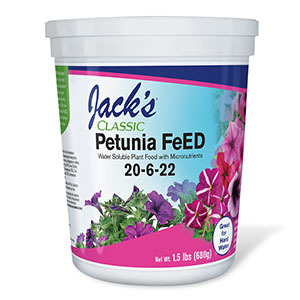 New and tender root fibers can be irreversibly damaged from excessive feeding of nutrients that offer quick uptake. In fact, this mobility within the plant teaches us how we might diagnose specific symptoms of nutrient deficiency. Age of the plant, moisture, temperature and even the root mass can affect the movement of nutrients throughout a plant. 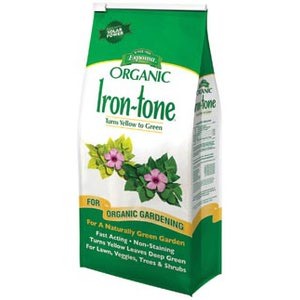 When iron isn’t readily available to plants and lawns, iron chlorosis is a common result. Symptoms include yellowing leaves, slowly developing growth, early leaf defoliation and/or light green leaves with darker veining. These characteristics are often first noticed on young plant foliage, especially in warmer summer temperatures after a cool, wet spring. Although iron is often present in the soil, uptake by plants can be restricted when soil pH is too high (i.e., pH levels above 6.0). A pH adjustment, with the addition of sulfur or iron sulfate, may be just the ticket for customers who are seeing these symptoms their gardens. 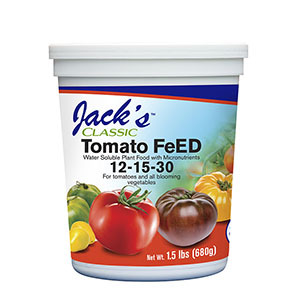 These products may be applied as foliar sprays or by incorporating a solution to the drip line around the plant or as application to the lawn. Iron can condense on the foliage, causing pitting. It’s best to rinse the foliage with clear water following any iron application before it dries. Lawn care products are available from many manufacturers, but they’re not all created equal in how plants receive their nutrients, especially in the summer months. Extensive research has been devoted to increasing the speed with which a fertilizer’s effects are visually noticeable in plants and lawns. 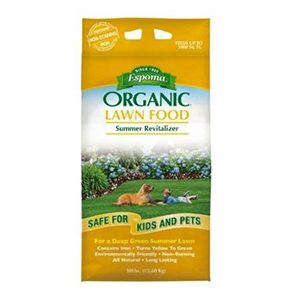 Some fertilizers include microbes and a non-staining iron supplement to help promote faster greening and deeper roots, while improving soil structure. 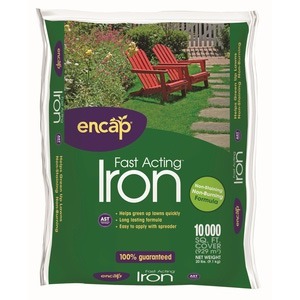 These fast-acting iron supplements generally range from 1%-12% iron to enhance the deep green color of a lawn without excessive growth. Some high-tech formulas contain humates and gypsum to speed uptake and help condition the soil. Quite a few iron-enhancing products are available on the market today. 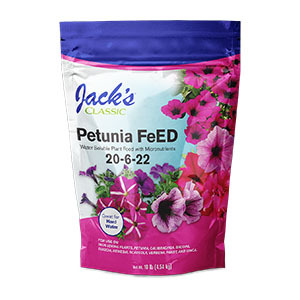 Options include fertilizers tailored for iron-hungry flowers like petunia, bacopa, calibrachoa and tomatoes! While ferrous sulfate has been the main ingredient to control and kill lawn moss for years, advise your retail customers to sweep remaining granules off concrete driveways and sidewalks to prevent staining. 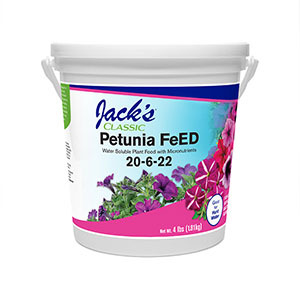 One of the newest technologies comes from naturally occurring iron-based herbicides or FeHEDTA. 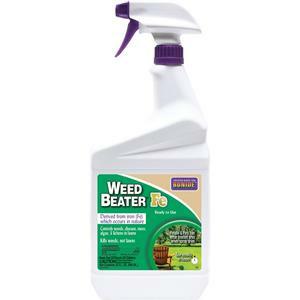 Bonide introduced a unique Weed Beater Fe formula that kills broadleaf weeds, moss, algae and disease, plus greens up your lawn. Results are usually visible within hours and it’s pet-safe. This 5-in-1 product effectively works in cooler temperatures, too! This ready-to-use product represents a whole new way for consumers to pump iron!